This was the claim that video game designer Jane McGonigal presented to the crowd during her June 2012 TED talk. As the camera panned over the members of the audience, their faces showed universal skepticism: Was this lady serious? There was something else interesting about that crowd. Despite their doubtful visages, everyone in the audience was drawn in by McGonigal’s words. No one was checking their email, talking to their neighbor or looking at the camera circling in front of them; all eyes were fixated on the (potentially crazy) speaker. Great hooks, like McGonigal’s provocative opening statement, get audiences on the edge of their seats and give them a sense of what’s coming. They allow you to win a crowd’s attention right away and give you a legitimate chance to have a lasting impact. Consider the alternative: Have you ever witnessed a presentation where a colleague starts by saying something like, “OK, so we’re going to run through a few major takeaways from last quarter and hopefully be out of here within the hour?” Snooze! All that has you thinking about is whether you should go to the bathroom now or in 20 minutes. Starting your presentation in an unorthodox way provides your audience with a much-needed breath of fresh air. McGonigal used a provocative statement to start her presentation, but there are plenty of other ways to be just as effective. Which one works best for you, of course, will depend on your presenter type, which you can determine using our helpful survey. Let’s take a look at the eight most popular presentation hooks, drawn from the top 100 most-viewed TED talks. 1. 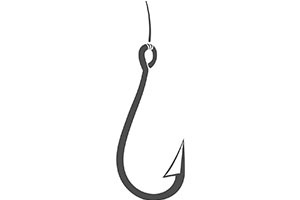 Story: The most popular type of hook comes naturally to the majority of people. Telling a story or sharing an experience is something we do every day without PowerPoint, so bringing it into your presentation should be a breeze. A story reminds your audience that you are a human being -- a bit of framing that can go a long way. You become more relatable to the audience, which allows your message to get through unobstructed. 2. Video/Graphics: Some topics are best introduced without words. Instead of telling the audience how a new product works, show them; humans have excellent imaginations, but sometimes it’s easier to do the work for your audience. Graphics that are compelling and that can complement your talk track are especially useful for presenters who may not have a way with words. Let multimedia lend you a hand. 3. Belief Statement: We all have our opinions, and hearing someone who agrees or disagrees with them will always grab our attention. If you have a controversial opinion tied to your presentation, use it as your hook! There will be detractors, but even they will want to hear your reasoning. 4. Intriguing Structure: Mapping out where your presentation is headed provides your audience with a path and adds a sense of drama. As you move from section to section, your audience will excitedly anticipate each topic that you’ve previewed, especially if it’s a subject that they are particularly interested in. No one will wonder what’s next or when the next break is; with everyone on the same page, all focus will be on the task at hand. 5. Humor: Not an easy task, but if you’ve got a good joke in your arsenal (that’s relevant), use it. If you can get people laughing, they will feel more comfortable and you will feel more confident. Try out your joke on a friend first, though, because few people handle *crickets* well. 6. Rhetorical Question: If you want your audience to participate, ask them to. It seems simple, but if you pose a question to the audience, even if you don’t expect an answer, you’ll have people participating mentally. Rhetorical questions also are great for effect; sometimes, a few moments of silence can be the best hook. 7. Provocative Statement: Remember our friend Jane McGonigal? By starting her presentation with words she knew she would prickle her audience, she easily drew them in. A provocative statement is like a belief statement on steroids; you’re stating how you feel and inciting a major reaction. 8. Shock/Surprise: This hook type isn’t appropriate for all presentations (you shouldn’t be saying, “I will be in charge in 5 years,” with your boss in the room.) But, used appropriately, a surprising comment can pique an audience’s interest by, frankly, making them uncomfortable. Always consider it, but use with caution. Be logical about which hook you choose and, perhaps most importantly, be honest with yourself. Are people going to laugh at your joke? Does that story really have any relevance? The audience is the only true judge of your hook, so make sure you don’t overlook how they will react. As you plan your next presentation, swap out your boring opener and insert one of the eight alternatives above. Both you, and your audience, will be grateful.